We at Studio Rollei are one of the best Candid Wedding Photographer Kanpur, Uttar Pradesh, India specializing in Candid Wedding Photography, Traditional Wedding Photography, photography of Corporate Events, Cinematic Wedding movies and family portrait photography, we travel across India in search for the perfect moment and to capture it, we are there for you at every step in your journey to guarantee that you can cherish your moments forever. To us photography is about capturing the essence of the joyous moments in your life, a picture is stronger than 1000 words right? We believe in that, we believe that capturing one’s journey/moment should be such that when you look at the picture you should be able to go back in time. Studio Rollei captures the priceless moments of your special day in a creative way. 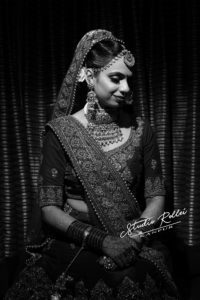 We are a team of Candid Wedding Photographer in Kanpur, dedicated to create the most beautiful memories of your wedding day. Memories are created when you get to see your emotions captured , rather than posing and smiling in front of camera. Thats what we do, we capture the moments of your special day without disturbing and asking you to pose. Our unique shooting style represents our name, ‘Studio Rollei’ because we capture moments of your wedding, not just photos. This style of photography is also known as Candid photography. Also, at the stage some of the shots need to be composed in a portrait format. when family and guests are accompanying the couple and looking straight into the camera. This style of photography is also known as Portrait photography. Have a look at some of our work for Wedding Photography at our services page, and let us know what you feel about it. If you like it, share it. Sharing our work on your facebook wall and tagging us will entitle you 10% discount on your total fees.